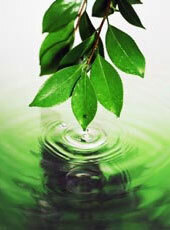 Many of our clients ask us about blue-green algae and what it has to do with E3Live Aphanizomenon flos-aquae (AFA). As you know, E3Live is 100% AFA, a superior blue-green algae. It is not man-made or manufactured, but harvested from nature under the highest of standards before it is sent to you in its fresh-frozen state. There are hundreds, perhaps thousands of species of blue-green algae; some are edible, some are not. AFA is an edible species of blue-green algae that has been consumed by indigenous people for thousands of years. AFA is a very nutritious, whole food containing over 65 nutrients that are easily absorbed by the body. As with any wild-grown food, you want to be sure that you are getting 100% safe & edible AFA, harvested by the most reputable of harvesters. Our harvesting and purity testing is of utmost importance to us. We not only meet, but also exceed quality and safety standards for harvesting processes. We adhere to strict Good Manufacturing Practices (GMPs) in order to maintain our Certified Organic status and Kosher certification. For more information, please contact us - we will be happy to answer any questions you may have. As always, we invite you to call and speak to any of our staff. 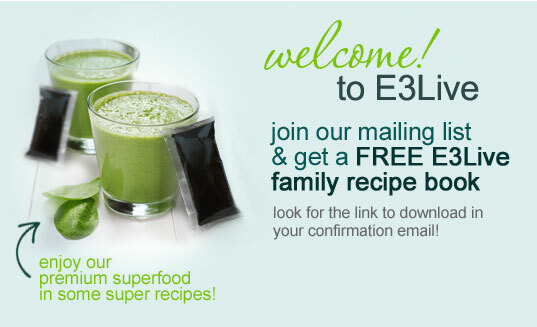 We are here to serve and educate you about this powerful and amazing blue-green algae called E3Live or E3AFA.